Calçots accompanied by barbecued meats and lashings of red wine. 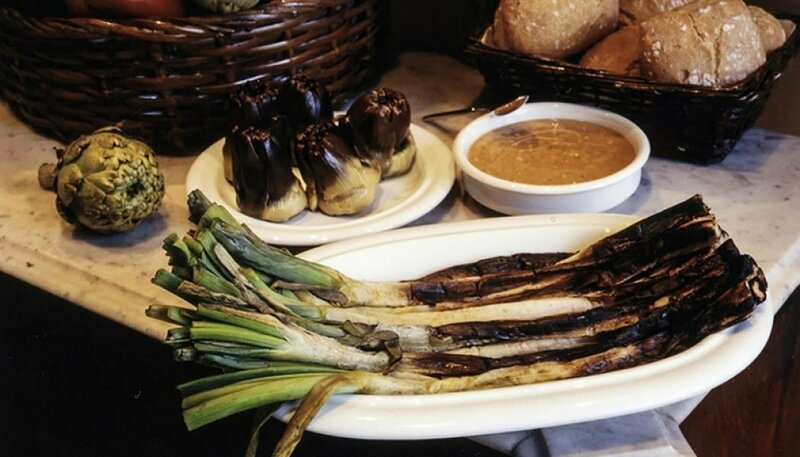 A calçot is a mild green onion that looks like a cross between a leek and a spring onion. It is a Catalan tradition to hold a ceremony to welcome the annual harvest. One of the best places on Ibiza to celebrate a traditional calçotada is Bar Can Berri in the tiny hilltop village of San Agustín. 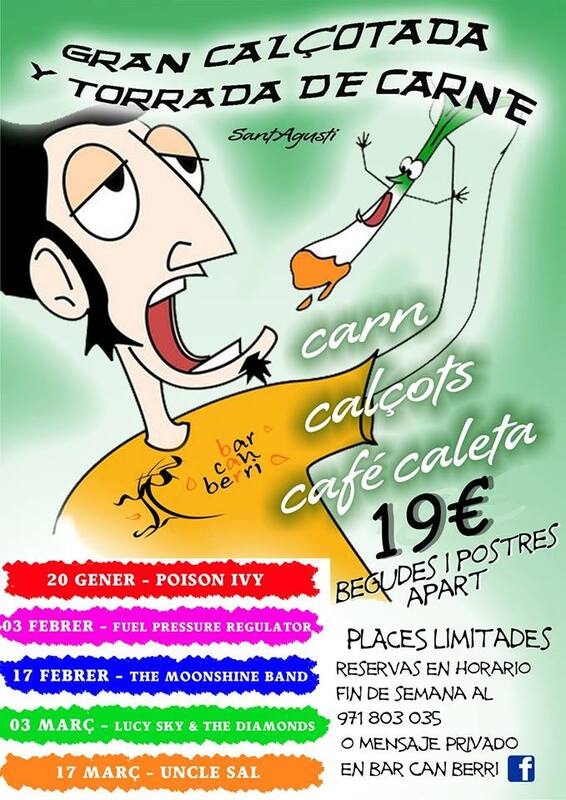 More info on Facebook page of Bar Can Berri.